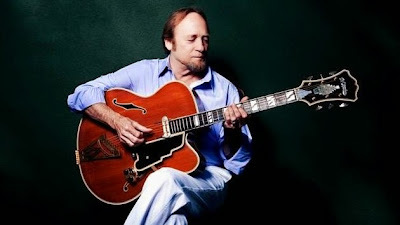 Stephen Stills has revealed that the third annual Light Up the Blues benefit concert will be held on April 25 at the Pantages Theatre in Hollywood. The folk-rock great will perform at the event along with his old Buffalo Springfield and Crosby, Stills, Nash & Young band mate Neil Young, alt-country artist Steve Earle and singer/songwriter Shawn Colvin. Stills noted that many of his contemporaries have children on the autism spectrum, and maintained that playing the benefit is “a wonderful experience.” The Autism Speaks organization funds research and supports advocacy efforts for people affected by the disorder and their families. You can find out more information at AutismSpeaks.org. Meanwhile, Stills also told reporters that he’s just completed the second album by his blues-rock supergroup The Rides, which also features guitarist Kenny Wayne Shepherd and former Electric Flag keyboardist Barry Goldberg. Stills said the band worked with veteran studio engineer Ed Cherney, whose credits include albums by The Rolling Stones and many other famous artists. Stephen explained that in listening to The Rides’ new material being played back, he expected to hear Mick Jagger‘s voice come blasting out of the speakers. Fantastic !!! I also hope that Neil can patch up his differences with David Crosby because it's always nice when this talented group of musicians,Crosby Stills Nash and Young,are getting along...it opens up more possibilities for great music and possibly some great tours !!! Does anyone know when tickets will go on sale? There isn't anything on the Light Up The Blues web page.